"Billing is the heart of the PHOENIX Customer Relationship System... Diamond Billing is absolutely critical to SRP's revenue cycle." "DBE will pay dividends for SRP for many years to come." "Diamond Consulting has proven to have expert knowledge, a demonstrated commitment to deliver, and willingness to partner to implement technology that we believe will be a key to our continued success. " 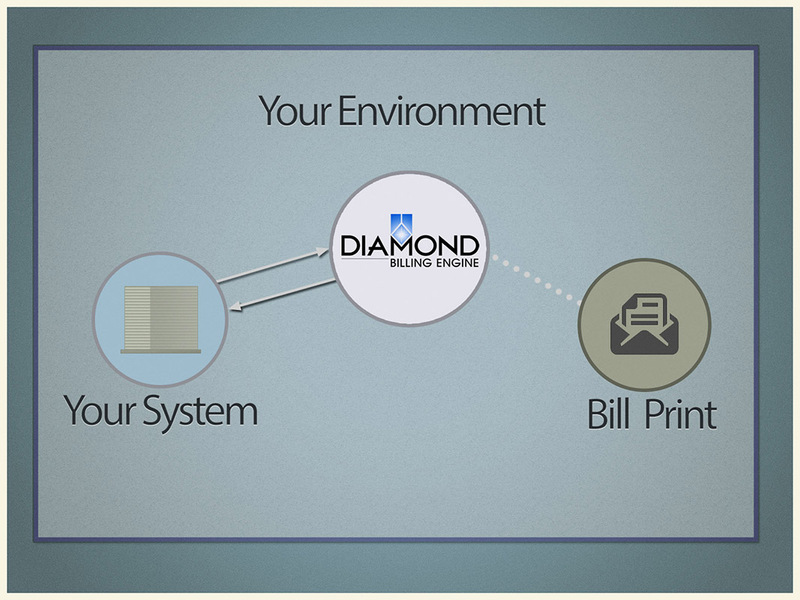 "Diamond makes Billing easy and understandable. My Call Center Representatives really appreciate their product." DBE is completely dynamic and customizable on the fly, providing your business with fast, code-free rate changes. All the flexibility and power of spreadsheets, but integrated into your billing process. Why waste money on a complete CIS, when all you need is Billing Flexibility. DBE can provide all the functionality of a high-end Utility CIS, at a fraction of the price. No need to ramp up your infrastructure or worry about software compatibilities, DBE can process your Billing Determinants both as a real-time Web Service and in batch. All data is fully encrypted using Advanced Encryption Standard (AES) 256 and hosted using secure HTTPS and SFTP protocols providing a secure means of connecting to DBE from your servers. DBE allows you to use your preferred Bill Print solution, whether that is done by your business in-house, or through a third-party vendor, both real-time rendering and mass customer mailings are seamless using the Diamond Billing Engine. Diamond is proud to partner with Utiltec, one of the premiere Bill Print vendors in the industry. DBE allows your business to keep the business processes that work, but also provide you with the flexibility of a dynamic Billing engine, without having to go through a multi-year project. With DBE’s user exists, your business can be up and running under Diamond’s software in a matter of months. The Diamond Billing Engine was designed with the needs of your business in mind. All the versatility of a large, expensive CIS solution, but none of the added bloat. The Diamond Billing Engine(DBE) gives your business the flexibility that spreadsheets provide, with the advantage that any rate that gets created is fully usable by your entire billing process. No more need to have special manual processes for those complicated customers. With DBE, you can take back control of your Billing. Designing a new rate could not be easier with DBE. 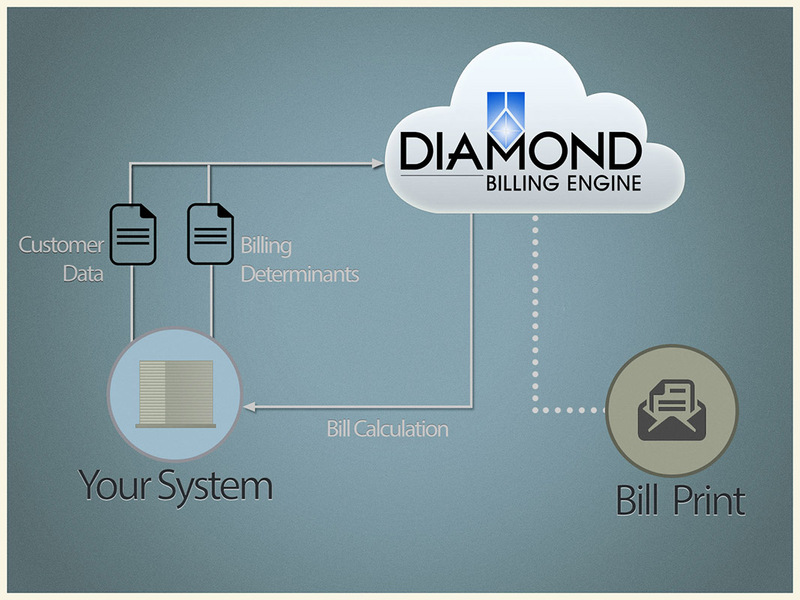 Just enter all your billing determinants and billing charges, and let the Diamond Billing Engine do the rest. And with the Rate Versioning feature, DBE empowers your business to quickly adapt to a changing regulatory environment. In mere minutes, you can design new versions of current rates and you have the ability to easily add new options or riders as your business require. DBE flexibility provides your company with the ability to take advantage of the programmable features embedded in the Smart Meters that are rolling out across the country. DBE is perfect for Billing commercial accounts, as it fully supports IDR read data up to 5 minute intervals. No need to use manual processes or third-party software to bill a specific customer. With DBE, each rate can easily be designed for any complex customer requirement. DBE provide easy setup for Solar customers, allocation from Community solar arrays, Wind, water, and other generation systems to be incorporated directly into your primary billing within your CIS. can extend the life of your CIS.